I wanted baseball cards of young professional players, guys drafted or signed this past year by Major League teams I've never heard about before - I think I got a stampede of them in the 2011 Bowman Draft boxes I picked up for $58 each as my 'main' hauls from my card show trip. It remains to be seen which various base prospect cards I'll be able to get signed and which ones I'll be stuck with for a while - hopefully for the guys that do 'wash out,' I'll be able to get their cards signed sooner than never. There are also cards of 2011 MLB rookies and USA players featured in this set - I think the USA players are from the U16 team, so it maybe a couple of years away before we find a particular guy is either going to play professional baseball out of high school or go to college of some sort. The black borders on the non-Chrome prospect cards remind me of the black bordered wrapper redemption cards from 2010 Bowman Chrome - I like how these prospect cards came out for 2011 BDP, though they maybe more condition sensitive than the plain ole' white border prospect cards from regular Bowman. My two autographs were two Chicago Cubs - Javier Baez [9th overall] and Dan Vogelbach [68th overall]; I didn't realize Baez was picked within the first 10 overall picks and I've seen Chris Farley lookalike Vogelbach from his Power Showcase highlight video. #79 Ross Wilson - Status parallel autograph serial #'d 2/5. I ended up picking a box of 2010 Donruss Elite Extra Edition baseball for about $70 at a card shop 15 minutes away from my house - I haven't been to the shop during the last three months since the shop had opened and wanted to see what they had during Black Friday. It was a typical card shop with overhead costs [rent and everything else that makes the store look good / attractive] to worry about - so the 'wax' in the shop probably reflects those costs, though it looks like they may have a little better prices for online consumers [as opposed to guys who randomly walk in from the cold like I did]. I settled for box of 2010 EEE on impulse and busting through the boxes on my way to work, these were my autograph pulls - I also pulled some inserts, maybe a parallel of little consequence. I normally don't dig around for vintage / old school cards and after deciding decided to make my own mix of 24 out of the 12 for $2.50 box - I shoved them back in the box to go look for supplies instead. After getting a box of plastic sheets, a plastic card box and three packs of penny sleeves, I had some money left and decided to pick the 24 random vintage Topps cards up and an additional dozen from 12 for $1 box - I figure it is easier picking up a handful of old cards this way, than trying to find them in repacked jumbo packs at Target and/or hoping I redeem one from the Topps Diamond Giveaway. I was looking to score some new cards and decided to take a trip to the only card show I know to go - I've been on a self-imposed exile since early in the year, so I was hoping to make this particular trip worthwhile. I got myself jammed up at one boss' booth, flipping through a bunch of cards out of his $0.50 junk boxes - I picked up 20 including some Marquee / Tier One base cards and some numbered parallels; most of the shiny stuff [2010 Bowman Chrome prospects, 2011 Bowman Platinum, 2011 Topps Finest, etc] were scratched up so I didn't bother. I think it was hard to put down the Marquee / Tier one cards once I started finding them - considering they come out of premium priced products. #15 Albert Pujols - we all are waiting to see where he'll end up, how much he'll be getting paid and for how many years. #18 Matt Kemp - the typical modern day metrosexual baseball player exemplified on a trading card. I didn't pull anything special in these two-card packs, given as promotional items when I made a Black Friday box purchase at a local card shop - I didn't realize Panini inserted cards of baseball players in these packs, giving baseball cards collectors a sneak peek of what the cards look like out of their non-MLB [but MLBPA] licensed baseball product. NNO Terrelle Pryor - this one looks like a subset card from Playoff Prestige. Learning about Seattle Mariners outfielder Greg Halman's death, it kind of hits close to home when I learn his brother may have been a suspect - my younger brother and I still live at home with our parents and at times there are petty feelings that sort of linger over the most mundane things. There have been times over the years when things have escalated into arguments and while we obviously play for the same team - my brother and I haven't been particularly close and it seems like it has quite a while when we've seen each other eye-to-eye. I was sort of excited to find this 2011 Bowman Chrome blaster [$19.99 each] at the card aisle of a Target in Brea, California - I want to mention this is the first time I've visited a two-story Target with a parking garage like a mall. However even with an apparent insert or a parallel lurking in each retail pack - there is just something lacking about only having three cards per pack / eight packs per blaster for a total of 24 cards. I was hoping against all odds to pull some 'ink,' though no autographs were pulled from this particular blaster. I do like the inserts though it's probably better to purchase them individually or a set - rather than looking to pull random ones through loose pack / blaster box purchases. #218 Ivan De Jesus Jr.
Fairfield red jumbo pack of 100 cards [$4.99 each at Target] - these repacks guarantee three 'vintage' cards from the 50's, 60's and 70s, though I'm not holding my breath. I thought I was over these things but I'm fascinated with just wanting a brick of cards to flip through - I'd probably buy four or five of these at one time if I knew there was a real good mix of cards from over the years. However, pulling cards from the 'junk wax years' get redundant quickly - how much more 1987 Topps, 1989 Topps and 1990 K-Mart Superstar cards can I really take in without just wanting to hurl the cards against the wall? 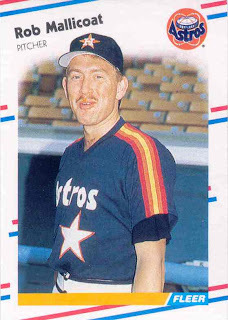 I say this tongue firmly planted in cheek - but I just don't think it's fair that a company can prey on the hoarding aspects of this baseball card collector. 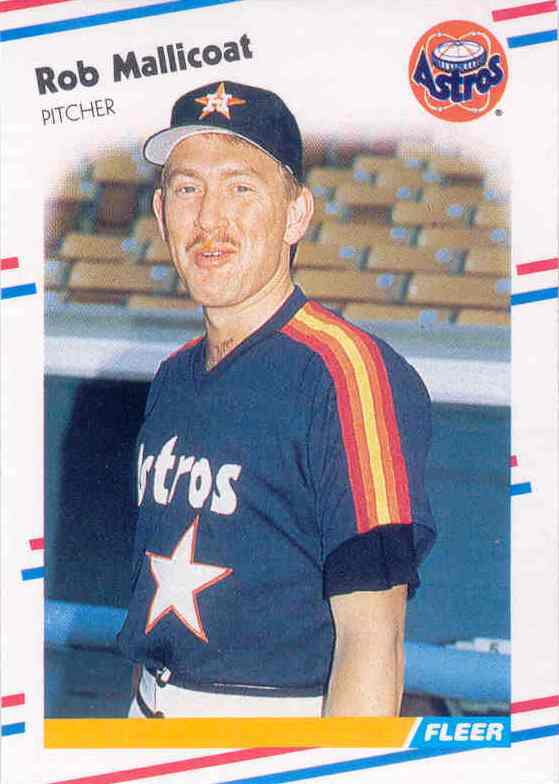 1989 Topps Jeff Blauser #83 - my opinion on a 23-year old set may not matter, but these cards have no redeeming quality; the images lacked a certain sharpness, were often dark and drab. 1969 Topps Bill Stoneman #67 - this card is the 'vintage one,' though I have it already and I got it signed through the mail. One of the things I do is try and keep up with the off-season Major League Baseball transactions so I can update the collection of cards I try and get autographed in-person - as well as build a 'small set' of about 100 cards reflecting various players moves up through the end of spring training. After spending parts of last season in-between the minors, Anaheim and Pittsburgh - I guess Brandon Wood is going to spring training next year with the Colorado Rockies. He's still relatively young and may turn it around in a place like Colorado - but as a professional baseball player, it looks like he's bound to take Mike Hessman detour or the Wily Mo Pena one. Card blogger Justin from Justin's World was interested in a 2011 Topps Update Matt Stairs Gold parallel I'd pulled from a break and I ended up mailing the card out in exchange a 2011 Topps Update Gold parallel card of Scott Downs - I think he said he still had to actually to get the Downs card from another trade he was working on and I had to wait about two weeks before I could actually get the card in-hand. The Downs card arrived safely in the mail a couple of days ago - it is a nice looking card and regardless of the delay, I was glad to have traded for it.